Live salsa music and dancing every Saturday night at Tekilarock in Sunnyvale, featuring a spacious dance floor and full bar. Different band playing every week. Free parking in the parking lot and street parking available. Update: This event moved from its former location at 250 E. Java Drive to 187 S. Murphy Street starting August 18th, 2012. For the longest time the South Bay has been missing a good Saturday night salsa event, but it looks like Tekila Rock might be the one that finally gets it right. Located in the heart of Sunnyvale, you will be surprised to find such a cool little spot tucked away amongst the tech companies. Tekila Rock is a venue with a relaxed vibe, with paintings and other decorations covering the walls and ceiling. The venue has two dance floors (which are a little bumpy), and a full bar, which is always a plus. The great thing about Tekila Rock is that every week they feature live music from local bands like Rumbache and Orchesta Saboricua. It's always a nice treat to dance to live music, and for $10, it's a fantastic deal. This is still a pretty new event, but so far they've been packing a pretty big crowd, a good mix of beginners and salsa regulars. If they can keep it up, this place has potential to be one of the best salsa events in the South Bay. Bottom line, Tekila Rock is the best place to go salsa dancing on a Saturday night south of San Francisco. Greatly enjoyed myself here and can’t wait to return! Nice dance floor, not too crowded, thumbs up to the live band and DJ. Very relaxed atmosphere; were mostly dancers (a flavorful blend of beginning-experienced) with a few for the bar and artsy vibe. Mixed ages, mostly 20s-40s. Liked the numerous paintings, colorful décor, and the cushy lounge/ table area. Played mostly salsa with a few bachata, cha-cha-cha, and merengue songs. The coat rack and lounge area provided a good place to change dancing shoes. Plentiful free parking. Felt like a dance floor with a bar rather than like a club. If you’re looking for a slightly smaller and relaxed place it’s a perfect venue to grab a Saturday night drink and dance to some lively music. Highly recommend it. TekilaRock is awesome on a smaller intimate venue with live salsa music every Saturday night and the bay best dj’s. They have free parking and even a free coat check. Cover is only $5.00 before 10pm and $10.00 after. A really good deal for those who don’t feel like driving to to SF on a Saturday night. Finally!! A great place in the south bay with great salsa music. TekilaRock doesn’t sound like a salsa place and is not that big, but wow they have great salsa bands every Saturday night. The place is in in a quiet area in Sunnyvale with plenty of free parking, you get a great dance floor for only $10.00. The atmosphere is great there are amazing beautiful dancers and the place rocks. No more San Francisco for me on a Saturday night. Definitely will NOT recommend serious dancers to attend Tekila Rock. This place supposed to have two rooms, however the rooms are not isolated from each other at all. 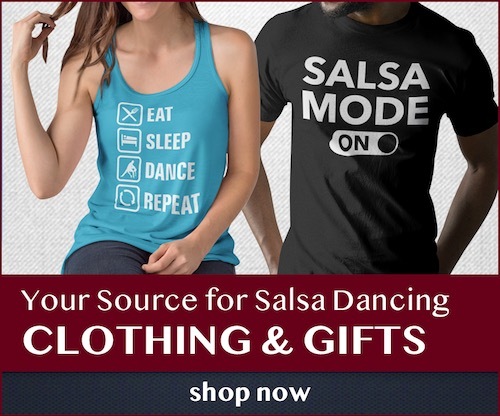 Music in the salsa room is literally painfully-loud in effort to overplay the music coming from the other room, but that does not help at all and one ends up dancing to salsa music mixed with merengue beat… Place is small and crowded. No serious dancers (ok, maybe 2 or 3). Dj is ok at best. $15 cover.. It was my fist and last time. Great music,great atmosphere and not far from where i live! I liked the fact that there are two separate rooms. But… the floor in the salsa room is not very even. Also, the colored-lights that supposed to make things more festive are set up in such a way that they blind you if you’re dancing anywhere close to that corner. I just came back from Tekilarock, and it was an utter disappointment. I went on Sat 9/1, Labor Day weekend, which could have something to do with the lackluster night. * Dance floor: narrow, meaning you’re bumping into the patrons trying to get to the other side. * Dancers: Mainly all beginners. * Music: Live band that sadly wasn’t all that good. Downstairs music conflicted with the loud music playing upstairs. * General vibe: Festive, but since it’s a bar, you gotta keep your wits about you and avoid the drunks trying to get in your space hoping for some action. Lots of people looking nice, but little to no dance skill present. I was led to believe that this was good alternative to driving up to SF. Would make that drive if it meant dancing some grade-A salsa. I was at this place on Saturday 9/1. The place was so, so loud that I did not even want to pay the $15 cover and come in. I drove all the way here from where I live, and when I came in and was about to pay, I decided to leave. I knew I wouldn’t be able to stand the loud music for more than a few songs, so I didn’t want to pay for just a few song. There was a band playing in the main room. There was also another room playing reggaeton and merengue also very loud, but both rooms are next to each other, so you can hear the music from both rooms playing very loud on top of each other. The place was really crowded, and it looked like there were good dancers. If you go to this place I really recommend you bring ear-plugs, if you don’t want your ears to be ringing for a couple of days. I also think this place is way too loud and has major problems. It’s every night. They have two dance “rooms,” but really the bar is just one room. The speakers for each area (salsa or cumbia) are pumped up ridiculously loud, to drown out the other area. I have been to all the other salsa venues and would say this place is far louder than any of them. I had to bring earplugs since you can instantly tell this place is probably not good for your ears. Suggestions: ditch the “double rooms”. Just have one type of music like any normal venue and turn the speakers to a normal (aka safe) level. Besides that, the floor is kind of long and skinny, rather than squarish, which can make dancing difficult as traffic is constantly flowing one way or the other. Also, speakers are hanging on the wall which means on certain parts of the floor you end up dancing right next to a speaker which is super extra loud for reasons already mentioned. I would not recommend. For anyone.